What Vitamins Promote Weight Loss? What is good for your body is apparently just as important for your brain. A variety of nutrients may help keep your mind sharp, including vitamins C, D, E and members of the B-vitamin complex. People with higher levels of these nutrients tend to exhibit higher scores on cognitive tests, reports a study published in 2011 in "Neurology." 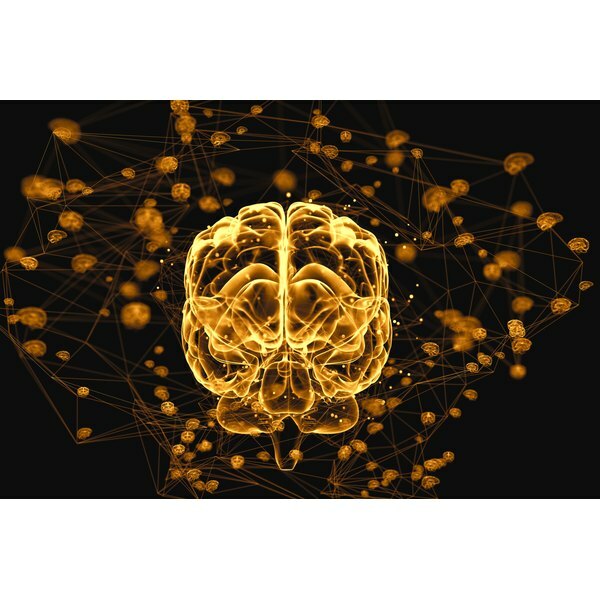 Vitamin B-12 deficiency markers have been linked to significant brain shrinkage observed among dementia sufferers, as well as poor short-term memory, concentration and other thinking processes among the elderly. A 2013 Ontario Healthy Technology Assessment Series evidence-based analysis, however, did not find that B-12 supplementation improved brain function. The study reported only very low-quality evidence suggesting a relationship between high levels of a byproduct of vitamin B-12, homocysteine, and dementia onset. Sources of vitamin B-12 are meat, poultry, fish, dairy, eggs and fortified cereals and soy milk. Vitamin B-6 helps produce mood-regulating hormones and neurotransmitters, which are chemicals like serotonin and norepinephrine. These substances help nerve cells in your body communicate with one another. While significant B-6 deficiencies are not common, symptoms include nervousness, irritability, depression, difficulty concentrating and short-term memory loss. Clearly, vitamin B-6 not only is important for memory and cognitive function but also is essential to overall mental health. Quality food sources include poultry, tuna, salmon, shrimp, beef liver, dairy products, lentils, beans, spinach, carrots, sunflower seeds and whole grains. Folate is also involved in production of feel-good hormones and neurotransmitters, which in low levels are related to mood disorders like anxiety and depression. So it makes sense that among the symptoms of folate deficiency are irritability, forgetfulness and mental sluggishness. Further, there is some evidence of slowed mental decline among patients with mild cognitive impairment when supplemented with combined folate and vitamin B-12, according to the Ontario Healthy Technology Assessment Series. Food sources of folate include dark leafy greens, beans, asparagus, whole grains, salmon, avocado and fortified milk, juice or cereal. The antioxidants vitamin C and E combat oxidative stress and free radicals, which are commonly observed in Alzheimer’s disease sufferers. The 2007 Rotterdam Study published in the "European Journal of Epidemiology" demonstrated that higher intake of vitamin C and E was related to decreased risk of dementia and Alzheimer's disease. A 2010 followup of the same study population in the "Archives of Neurology" showed that significant evidence of the relationship only exists with vitamin E-rich foods. Vitamin E can mainly be found in nuts, seeds, vegetable oils, whole grains, wheat germ and leafy greens. Rich vitamin C sources include fruits and a variety of vegetables. Vitamin D receptors exist throughout the brain, where the vitamin aids in clearing amyloid plaques, which are protein deposits that appear in brains of Alzheimer’s disease sufferers. Further, low levels of vitamin D known have been connected with Alzheimer’s disease, dementia and risk of cognitive impairment. It is unclear as to whether this link is due to the effect of cognitive decline on vitamin D concentrations or vice versa, however. Besides fatty fish, vitamin D-rich foods include fortified milk, orange juice and ready-to-eat cereals.